Many years ago, in a graduate medieval class, I was taught that women hardly featured or mattered in medieval European literature. This was a literature written by men, about men, and for men. Of course, for more than two decades now, feminist medievalists have since made this pedagogical dictum laughable. We’ve learnt to see women everywhere in medieval literature and history, and understand that they mattered, a lot. In similar fashion, queer theory has been richly complexified with the entrance of the Middle Ages into the conversation. Feminist and LGBTQ medievalists are no longer marginal in medieval studies today. But what about race? As a graduate student, I knew of only one medievalist of color besides myself in the academy: Glory Dhamaraj, an Anglo-Saxonist of South Asian descent who ceased to be a medievalist soon enough. Looking and sounding different from my classmates, and later, my colleagues, I thus learnt to build a career in which my scholarship was driven by my difference—differences of experience, and thus of perspective—while minimizing the sense of my difference, whenever I delivered a paper, published an article, competed for a grant. In medieval studies, arguably the most conservative field in the western academy, not being perceived as intellectually different—with its assumptions of inferior habits of mind or inadequate credentialing—when you’re a non-native-born woman of color from a former British colony, was imperative, in order to have a career at all. Nonetheless, despite my careful academic practices, working as a gendered, raced, postcolonial subject brought a special vulnerability. I was called out by a white, male English medievalist from London, the metropolitan university in the heart of the old British Empire. He decided that my practice of reading, which he labeled “postcolonial,” was inadequate, and inadequately “postcolonial,” unlike other medievalists, because I had not sufficiently promoted the paramount importance of French, the lingua franca of the European Middle Ages, in my first book, Empire of Magic: Medieval Romance and the Politics of Cultural Fantasy. The irony was remarkable: When the importance of French is not sufficiently thematized and its literature not sufficiently held up for attention, female non-white postcolonial subjects don’t adequately practice “postcolonial” medieval studies. A white Englishman at the heart of the old British Empire had pronounced this. Who gets to speak for us? Who decides what is canonical or important in medieval studies and gets to shape the conversations? In institutional politics, racial-neocolonial privilege becomes visible only when privileged speakers, and privileged speaking positions, are looked at closely. A conference session, like this one today, is one such moment of looking closely and talking back. I’ve been known for doing three things in medieval studies: 1. linking the development of European romance to the history of the Crusades and supplying a definition of romance that moves it from a genre to a narrational modality tied to crusader atrocity and trauma; 2. theorizing and developing an intellectual apparatus that permits scholars to study race in the European Middle Ages in multidisciplinary ways; and 3. conceptualizing and leading the academic field widely known as the Global Middle Ages. All three things derive directly from the experience and perspectives of a medievalist who, by virtue of being marked by race and national origin, sees and thinks differently. My first book, Empire of Magic, began when I was teaching in Singapore, right after graduate training, when I decided that for the sake of my many Muslim students, I needed to look at the Middle Ages from a less-Eurocentric point of view. Reading Arab historians on the extraterritorial incursions we call the crusades, I found the horrors of crusader cannibalism of the Islamic enemy, and returned to the literary genesis of the King Arthur legend with new eyes. My book that appears on March 8, 2018, The Invention of Race in the European Middle Ages, argues that the medieval period was not a pre-political, pre-racial, pre-colonial era, and that religion then (and now)—as much as science, in the high-modern era of “scientific racism”—was selectively deployed to identify differences among humans that were essentialized as absolute and fundamental, so as to distribute positions and powers differentially to human groups, in practices that we would today call acts of race. It is easier to see, and identify racial thinking and racial behavior, before there’s a vocabulary to name these for what they are, when you yourself occupy a subject-position wherein you are also subject to acts of race. Because I came to this country from the great global outside, in 2004 I also began teaching and publishing on a Global Middle Ages. Unlike the book on race, which took twelve years to complete, because of resistance from medievalists and modernists alike, the Global Middle Ages was embraced with no resistance at all. Today, there are numerous conferences in the US, UK, Europe, Australia, and New Zealand on a Global Middle Ages, as well as graduate and undergraduate courses and programs, many kinds of digital humanities projects, collaborative grant awards (at the University of California, Oxford University, Sydney University and elsewhere), and three journals of record for publishing in this emerging field. Those of us who investigate how differences are prioritized and managed may find it instructive that the conceptualization of early globalisms as a field of study met with hardly any resistance, whereas the conceptualization and study of race in the European Middle Ages was resisted for a long time—so much so that, as late as 2011, I had difficulty publishing the two-part article called “The Invention of Race in the European Middle Ages,” now part of the book’s first chapter (and which has garnered over 25,000 document views on the research site, Academia.edu). Early globalism was not felt to be controversial or political: but medieval race was. Today, with right-wing groups fantasizing the European Middle Ages as a pre-racial, pre-political era in which Europe was homogenously Caucasian and an unproblematized Christianity reigned supreme, we see why. 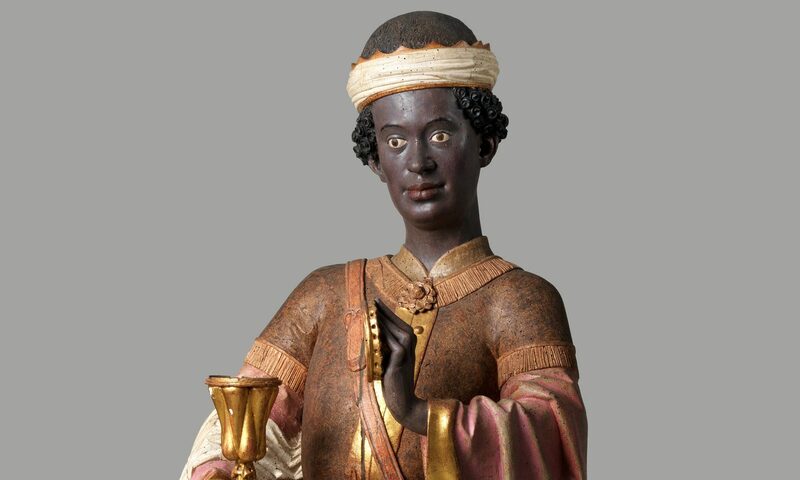 My colleague, Dorothy Kim, has pointed out in a widely circulating blog post that there is no position a medievalist can occupy today which does not have an inherently political coloration, whether we like it or not. If we continue to teach and study the Middle Ages as we have always done, duly trotting out the old canonical texts in literature and teaching them the same old way, the old aphorisms and grand narratives in history, and the same old art images for students to study, without allowing for—without requiring—transformation and change, then implicit in our stance against the transformation of the academy in our neighborhood of medieval studies, is already a political position. Academic transformation in the 21st century is called for by many today—to ensure the survival of the humanities, the survival of higher education, and the survival of fields like medieval studies, so often considered to be somewhat less crucial than modern periods of study. I therefore end this short presentation with a reminder of the gains to be had—for scholarship, for new kinds of teaching and courses, for new collaborative endeavor, and for the growing field of digital humanities—even as the changing demographics of our country and of our students, and our own commitments to cultural politics and the revitalization of intellectual work, push for greater diversity in medieval studies. This is not a plea for inclusion—for medievalists of color to be welcomed, whatever their race, national origin, class background, sexuality, gender, or bodily abilities. Everyone on this panel has already earned their place in medieval studies. This is a reminder of the gains to be had, from the contributions of medievalists of color to medieval studies—contributions both already accomplished and prospective—in the 21st century. Thank you.